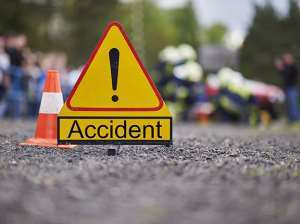 The National Democratic Congress (NDC) has expressed shock and bemoaned the increasing spate of road accidents killing Ghanaians under the current regime. In a statement issued by Sammy Gyamfi, National Communication Officer, the NDC appealed to the government and the National Road Safety Commission to "take urgent steps to address this disturbing phenomenon." The National Democratic Congress (NDC), joins Ghanaians in mourning the precious souls of several of our citizens who have been reported dead in two separate road accidents both of which occurred [Friday], 22nd March 2019.